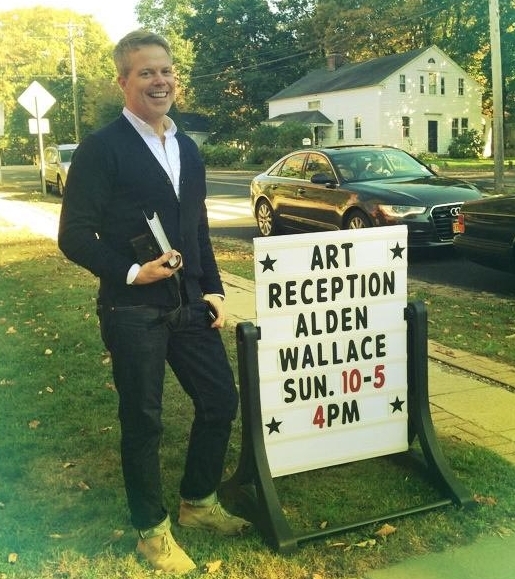 Alden Wallace is an American artist and graphic designer living in New York City and Colebrook, Connecticut. A recipient of a BFA from the University of Colorado and a student at the Lacoste School of the Arts, he has shown his work throughout the tri-state area. As graphic designer, he has served as director of design for numerous consumer magazines and nonprofit organizations. Inspiration lies in many places. Light, seasons, the time of day and architecture all play into my paintings. Light becomes color; fields, trees and roads become shapes, all of which creates composition and a story. Occasionally, the story comes first, at other times it is the setting or light that sparks motivation. Observing and capturing moments is the goal. I challenge myself to understand what I am seeing; to mix together the colors and shapes so that they can serve as some sort of record or interpretation. Influences range from Edward Hopper, Fairfield Porter, and John Singer Sargent to Andrew Wyeth and Gerhard Richter.